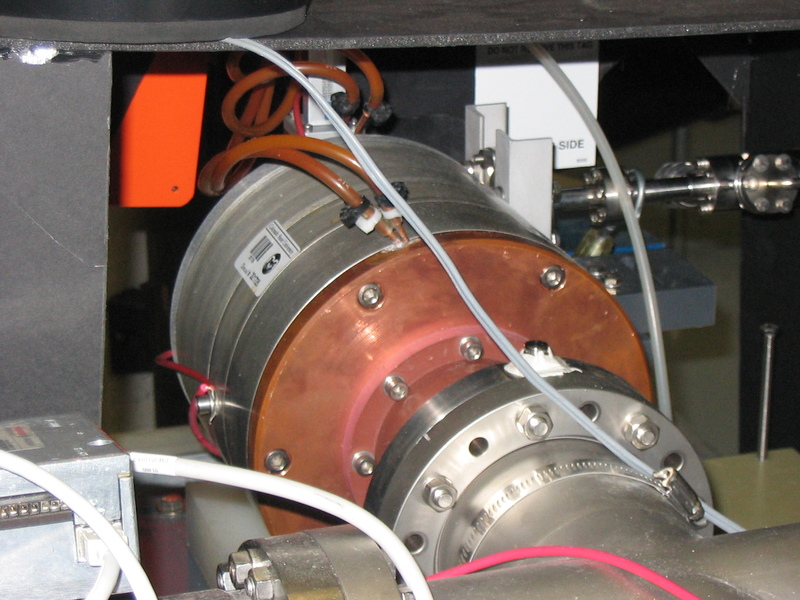 Our electron cyclotron resonance ion source makes slow, highly-charged ions. See more photos of the ECR in our Photo Gallery. The Electron Cyclotron Resonance Source (ECR) is a plasma device designed to provide highly-charged ions at low velocities. The ECR source is smaller than the Cryebis , providing ions with lower mass and ultimate charge state, but with much greater beam current. 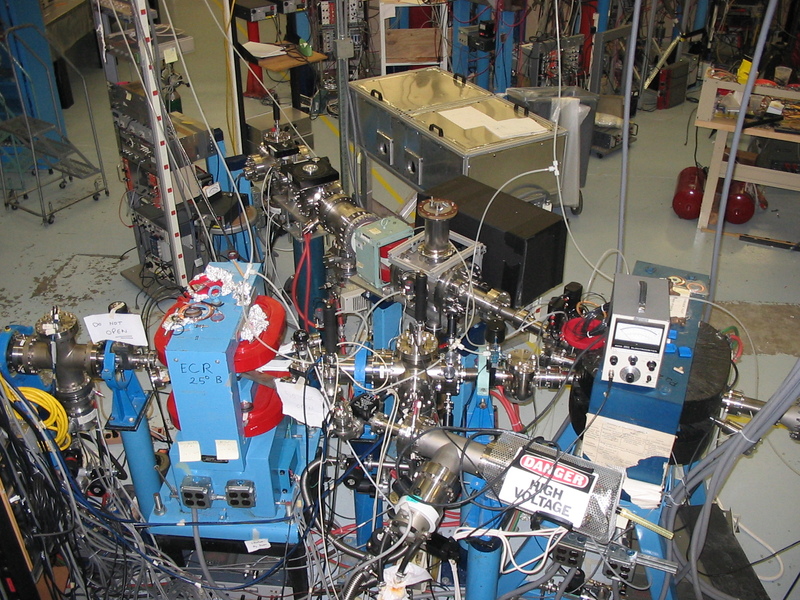 The two devices and their crossed beamlines constitute the Low Energy Ion Collision Facility (LEICF), a unique apparatus for ion-ion collision experiments. A solenoidal magnetic field provides azimuthal confinement of electrons and ions while a hexapole array of permanent magnets gives radial confinement. 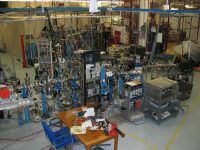 The ions within the trap region are bombarded by electrons excited by 5 GHz microwaves into electron cyclotron resonance (hence the name). Our original ECR was designed and built by the group of Erhard Salzborn at the Justus-Liebig-Universitaet in Giessen, Germany. After many years of service, it has been retired. The new ECR is a commercial product manufactured in China. Charles Fehrenbach now heads the KSU ion-ion collision facility team. The ion-ion collision system recorded its first data in November 1995, seeing He2+ from the ECR interact with He+ from a small Penning source. 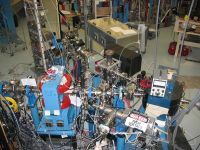 Useful beams of a variety of ions can now be reliably produced. The heaviest beam attempted so far is argon. The greatest charge state of Ar observed is 8+; the total current in all species and charge states is greater than 1 milliamp. The ion-ion project is the legacy of the late Professor John Giese, who was taken too soon from us in July 1995 by the effects of cystic fibrosis.